Mark and Moriah became good friends while studying wildlife biology at North Carolina State University. While at NCSU they shared many successful hunts and practiced their wildlife management skills learned in class. They were both very involved in the NCSU chapter of The Wildlife Society as well as the NCSU chapter of the Quality Deer Management Association where they took leadership roles and worked to improve student participation. They are also both published authors in Quality Whitetails and have served as conservation interns for the Quality Deer Management Association. Through the years they have developed a desire to share with others the knowledge from their wildlife biology educations and lessons learned while in the field pursuing deer. This has led to the creation of Hunt The Land, a platform to share weekly podcasts and blog posts on bowhunting, habitat management, and all things deer. Growing up in the mountains of North Carolina, Mark was exposed to the outdoors at a young age through fishing. 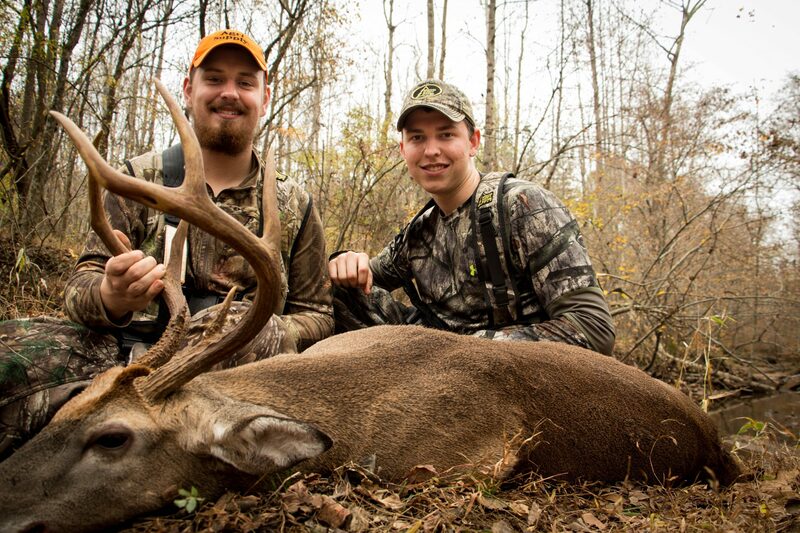 His first hunting experience was not until the age of 12, when a mentor took him to harvest his first deer. Since no one else in his family hunted, it was not until two years later that he began to learn to hunt deer on his family farm in the Piedmont of NC. Shortly thereafter, he planted his first food plot and began the journey towards his eventual career path. While experience and education have vastly changed the techniques used on his family farm for wildlife management, trying to improve the property for deer and quail is still one of his favorite ways to spend his time. Additionally, learning to manage the property gave him a desire to help others with habitat management on their properties. 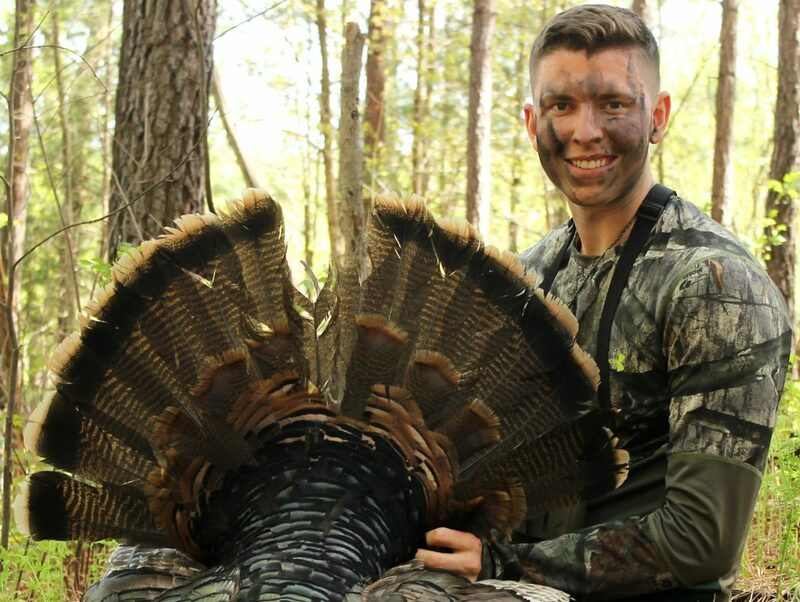 Mark graduated from North Carolina State University with a degree in Fisheries, Wildlife, and Conservation Biology, and recently started graduate school at Auburn University. There, his research focuses on managing hardwood forests for deer and turkeys. Moriah began deer hunting around his house in northwestern North Carolina when he was 13 years old. With no family background in hunting and little knowledge on the subject he began teaching himself and researching every source he could to teach himself how to hunt. After years of trial and error he was successful both gun hunting and bowhunting, leading to an interest in wildlife management and a desire to become more than just a deer hunter. In highschool he began practicing habitat management on his family’s small property and started looking for a way to build a career as a wildlife biologist. In 2018, Moriah received a B.S. in Fisheries, Wildlife, and Conservation Biology from North Carolina State University. 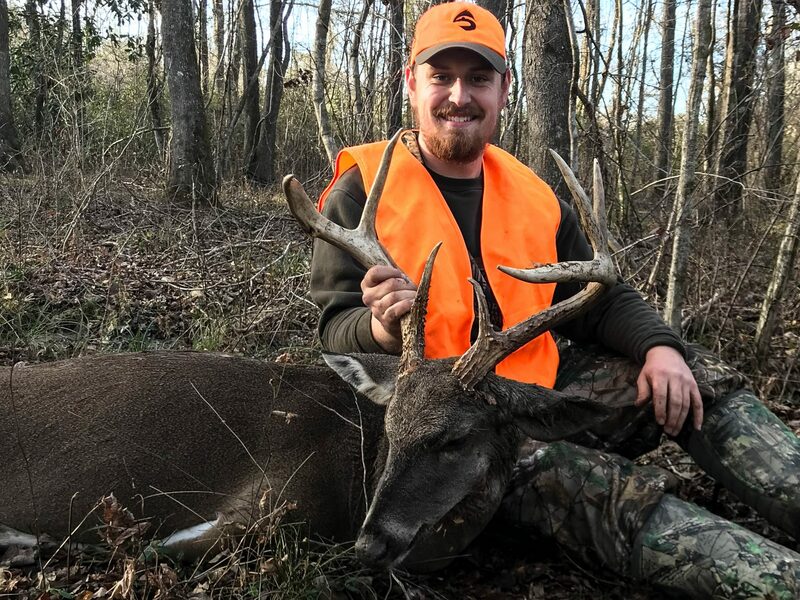 He is graduate student in the Mississippi State University Deer Lab where he researches interactions between deer, oaks, and their competitors.